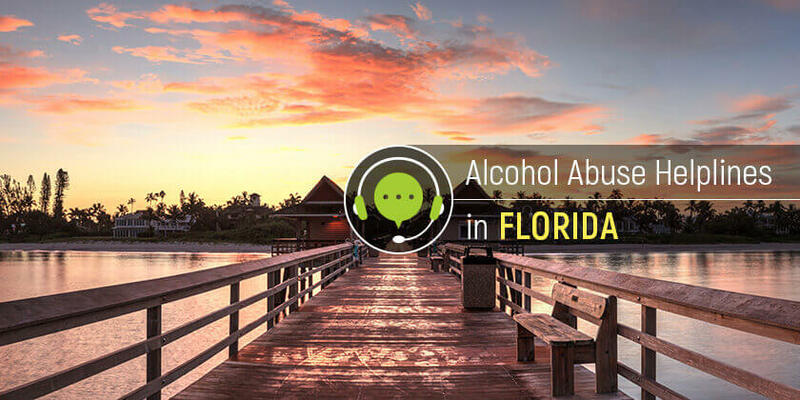 People residing in Florida who suffer from alcohol abuse problems can seek help from the right professionals and treatment centers through the following alcohol addiction helplines. Speak to a representative at Delphi Health Group by calling the toll-free alcohol abuse helpline (866)-520-2708. Calls are 100% confidential, and representatives are available 24/7 to provide treatment counseling and access to the right professional help. These services offered are covered by insurance. Call the Florida Statewide Substance Abuse Hotline on 2-1-1 for drug crisis, alcohol treatment advice, and counseling. This phone number operates to provide fresh data and assistance for emergency care and intervention. Contact the Florida Public Health Department Substance Abuse Program Office on the alcohol addiction helpline 1-850-487-2920. The trained representatives will gladly share the information about counseling, treatment services, and referral to the best local alcohol rehabilitation programs. The National Council on Alcohol and Drug Dependence Hopeline number is 1-800-622-2255. Dial it to get the treatment advice and connect people seeking treatment for alcohol addiction and substance abuse disorders to the best programs nearby. Individuals who reside in Florida and need alcohol abuse treatment advice and referrals can call these alcohol abuse hotlines to access the needed help. The abstinence starts with the first step, which is the call to one of the helplines!